Since I normally spend every single God-given moment on my blog, being without its presence in my life courtesy the Great Blog Crash of 2013, had me doing a detour to re-explore an old, old passion. And I mean “old, old” in every way – it’s a passion that’s had me hooked since the past 2 decades and it deals with old things. Vintage cars, to be specific. I have been hanging around these beautiful beasts since eons and did my first serious international vintage car rally in the year 2000. 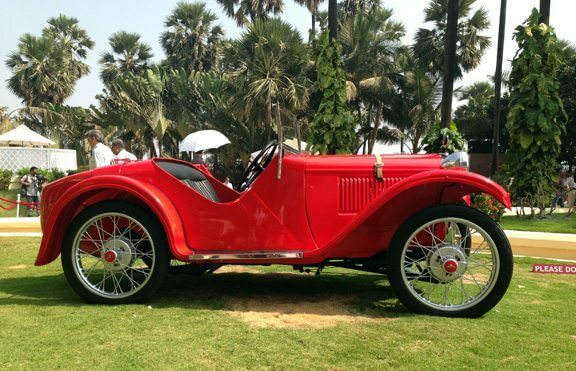 Called Rally of the Raj, it was a 2,000-kilometre run all the way from Delhi to Mumbai, via the royal Indian cities of Agra, Jaipur, Jodhpur, Udaipur, Ahmedabad, Silvassa and Rajpipla. Since then, I have been part of numerous rallies around the world – sometimes as a participant, often as an organiser. And it’s been a blast! 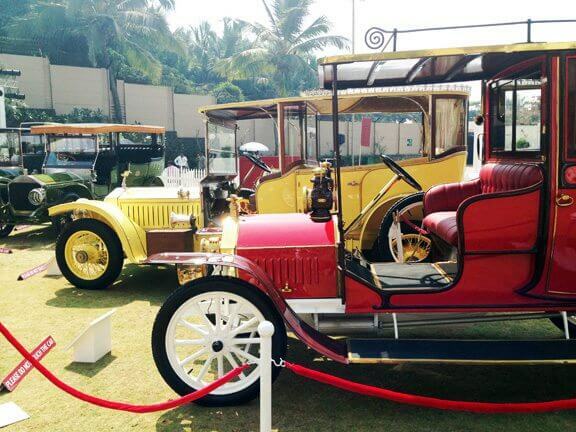 These old cars have a soul, a beauty, a tenacity that today’s automobiles simply can’t match. Built to last, they are a combination of art and engineering… rolling histories that enthrall with their grandeur and humble with their magnificence. 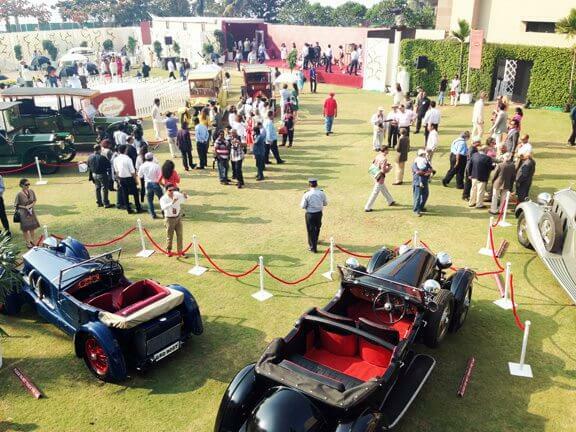 Seriously, today’s cars are not a patch upon these legends from the past – as was more than evident at the Cartier Concours d’Elegance 2013 this weekend, where the grand old dames came out to play. 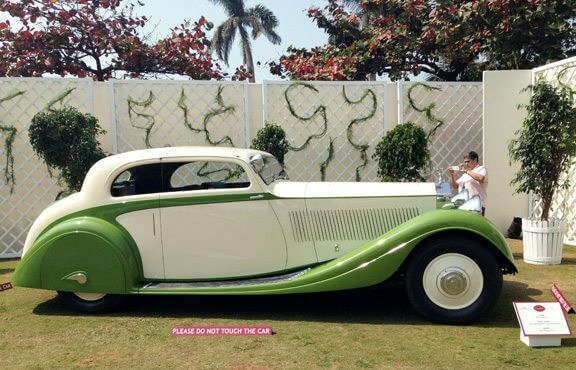 I spent a happy Sunday strolling through green lawns that looked more California than India, sipping chilled flutes of Dom Pérignon and exchanging stories with other vintage car lovers like HRH Prince Michael of Kent, Sir Stirling Moss, Marc Newson and Mark Shand (of the Camilla Parker-Bowles family tree). I broke 2 fingernails while tinkering with an engine, my hair got burnt to a crisp in the blazing sun, my face is tanned 8 shades deeper and there is a terribly sun-burnt patch on my shoulder… but, for once, I don’t care! 1938 Rolls Royce Phantom II Continental. Remember seeing this one in cream with black fenders. But even the green looks gorgeous… clearly one of the favourites in the show! 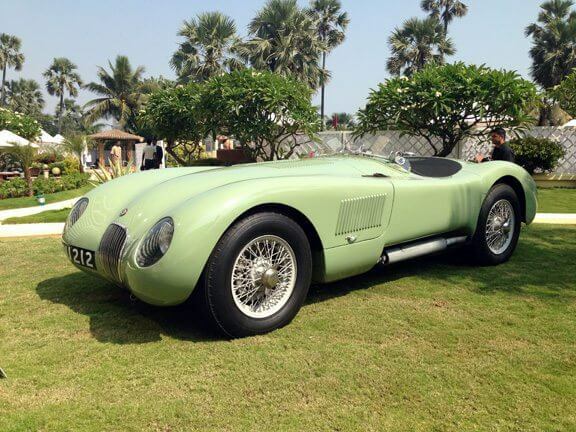 Jaguar C-Type: Looks like a beast. From a fairytale. The Star of India… 1934 Rolls Royce Phantom-II 40/50 HP Continental. 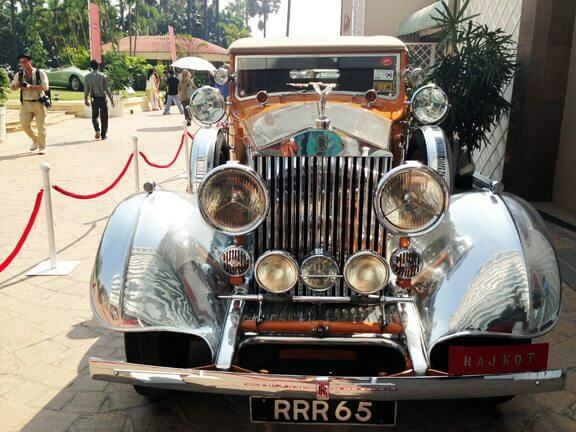 Not only one of the rarest Rolls ever commissioned, also the first one to be brought back to India after it was exported many decades ago. 1952 MG TD… the cutest, smallest, wonderfulest car in the show. Wanted to hide it in my handbag and steal away! Red, red and more red… which shade do you prefer? « The Beauty Gypsy is back! 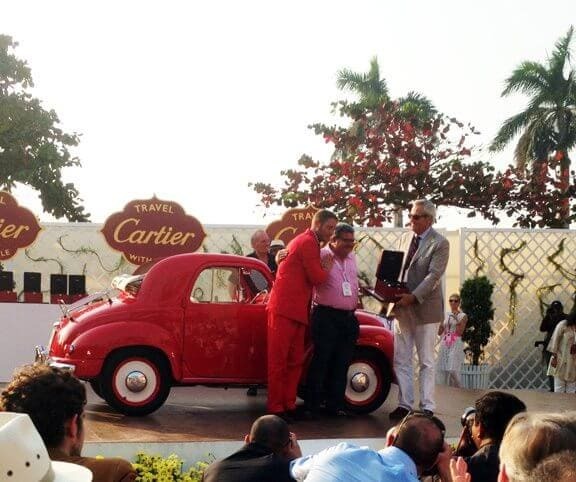 Hi this was the Best in Best Vintage Car & Bike Rally i ever witnessed in India. Watching the old beauties was Matchless & Remarkable. For some moment when i was done with the Vodka i thought i was some where in London England. 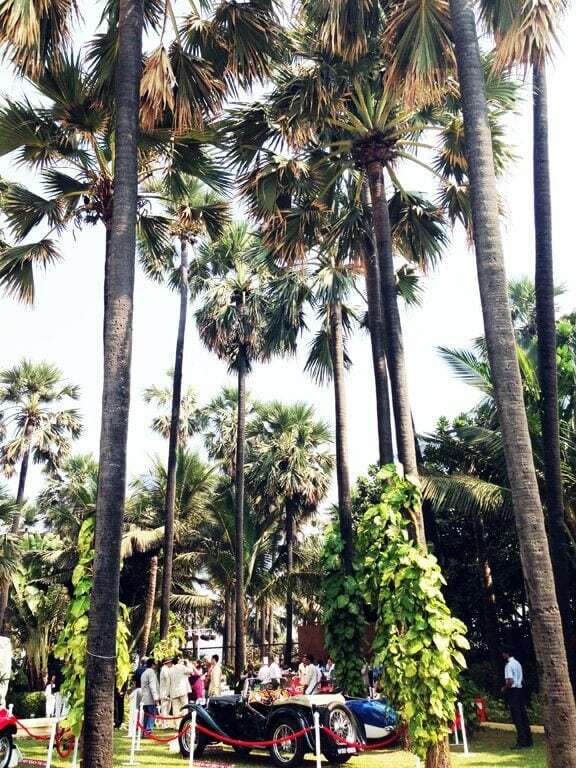 Remarkable and Hats off to the Cartier group and splecially thanks to dear Mr. Menvander Singh the Curator of the Cartier Group for his Peacefull Presentation at Taj Land End Bandra- Mumbai-India. Specially to mention about Mr.Adil Darukhanawala……I know Adil since 1978 who organized a Motor Cross in Pune, now i.e over 35 years. My first ever Motor Cross on my Stock 1962 Royal En Field make England fared pretty well. I have never seen him so HAPPY after he bagged the Prize for his Beauty Red Queen, i seen him LAUGH for the first time in 35 years, he was more than extremely Happy. I will soon mail him his picture that i clicked. Spare a few minutes and refer to below links. Hi Ashok, it was definitely brilliant. 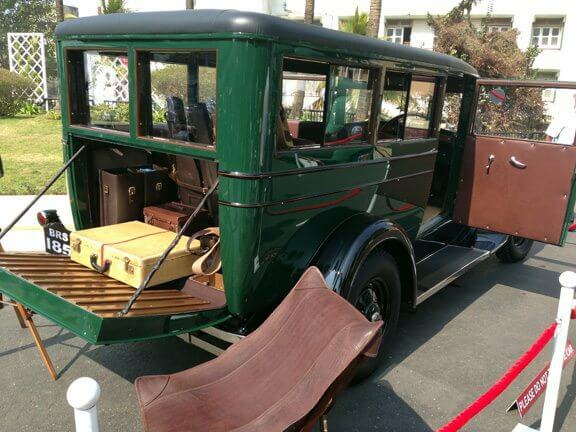 Just wish some of the other prominent vintage cars of India had not been left out. Anyway, see you on Sunday for the Mumbai rally?